Showing a sweet child bunny with a butterfly alighting on her nose, this fun rabbit sculpture is a charming tribute to the delight of small things. 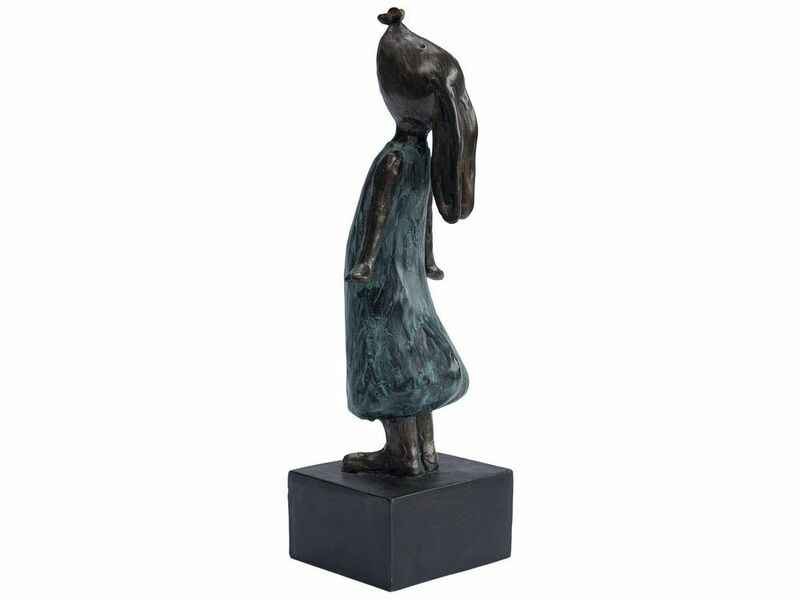 Made from bronze finish resin, this joyous ornament depicts the rabbit in human child form, wearing a blue dress with her arms spread to preserve her stillness. Although she has human feet and arms, the biggest clue to her being a bunny and not a little girl, is the her long, silky ears drooping down. Charming and adorable, this abstract child rabbit ornament is a lovely tribute to the innocence of nature.